Welcome to the incredible beach front Ocean Walk Resort where you'll enjoy a host of amenities and a spectacular entertainment complex right next door. 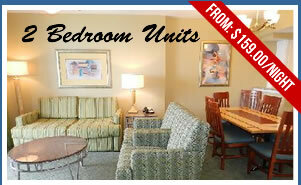 You'll find shops, restaurants and movies just steps away from this upscale Daytona Beach resort. Come stay at the area's only traffic-free beach and enjoy an array of outdoor activities; Ocean Walk Resort is simply terrific for families. 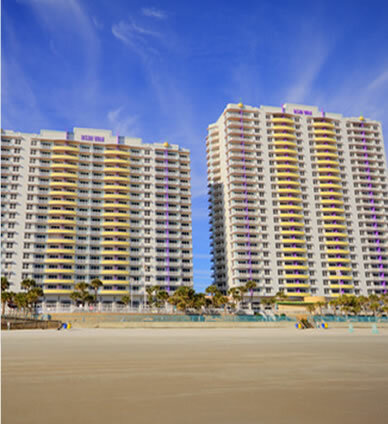 Get the best vacation value by leaving the ordinary Daytona Beach hotels behind and live it up in the 1- 2- and 3-bedroom condominiums Ocean Walk Resort has to offer. All condos have spacious living areas and fully equipped kitchens, so there's plenty of room for the whole family. 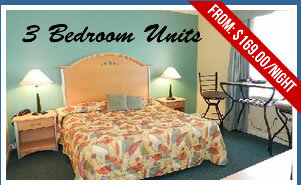 It's like having your own vacation home with a world of entertainment right outside your door. This family-friendly resort has it all: well-furnished condos with spectacular ocean views, exceptional amenities, direct beach access, and plenty of leisure activities, like a lazy river and water slide! 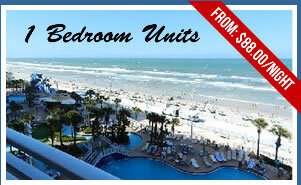 Call to book your vacation rental now!